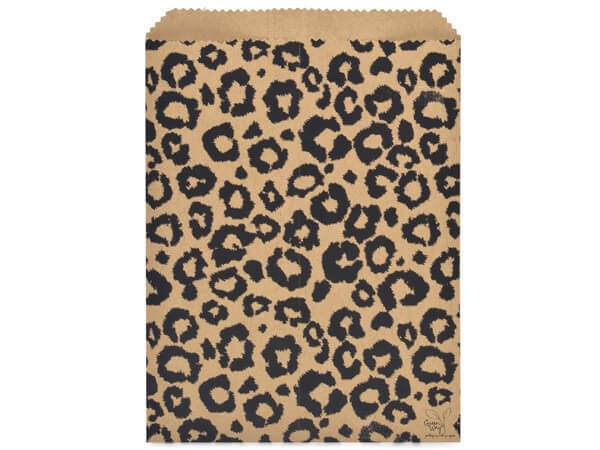 Leopard Kraft Paper Merchandise Bags, 8.5x11"
8-1/2x11" Leopard Merchandise Bags are printed on 35lb paper from 100% recycled kraft paper. Green Way ® Eco-Friendly Packaging. Papers used in this product comply with FDA regulations for food packaging. Made in the USA. Paper Merchandise Bags with our exclusive best selling designs. Bags are packed flat in cartons, not baled. Complies with FDA regulations for food packaging and printed with water based inks. Made in the USA.